Calling all MVPs, team captains, full roster players, practice squads, coaches, teachers and parents/caregivers. 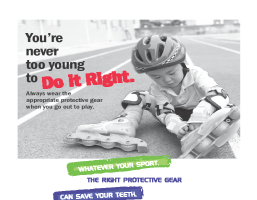 Five of the nation’s top dental associations want to remind everyone to play it safe during recreational and organized sports to help prevent serious, painful facial injuries that can take the fun out of the game. Take five, and take in these five simple safety tips. 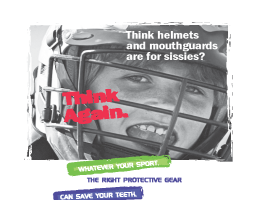 Cheer and Shout Out Your Support for Mandatory Protective Gear. 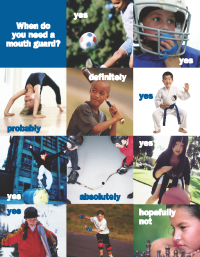 Athletes who participate in football, hockey and boxing are required to wear mouth guards. 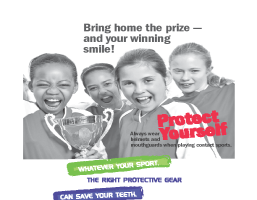 If mouth guards have been proven to significantly decrease the risk of oral injuries, why is it not mandatory in every sport for kids to wear them?